The finest of men was born in Bharath before 4000 years. He was the one who had a vision of united India. He was the one who we believe to have worked in all 4 Purusharthas of life- Dharma-artha-kaama-moksha. He was the strategist who is known for his cunning wars and law of Kingship- Kautilya’s Arthashaastra. He is the one believed to be Chanakya turned Vishnugupta who was the king-maker of Maurya Dynasty- The savior of Chandra Gupta Maurya. 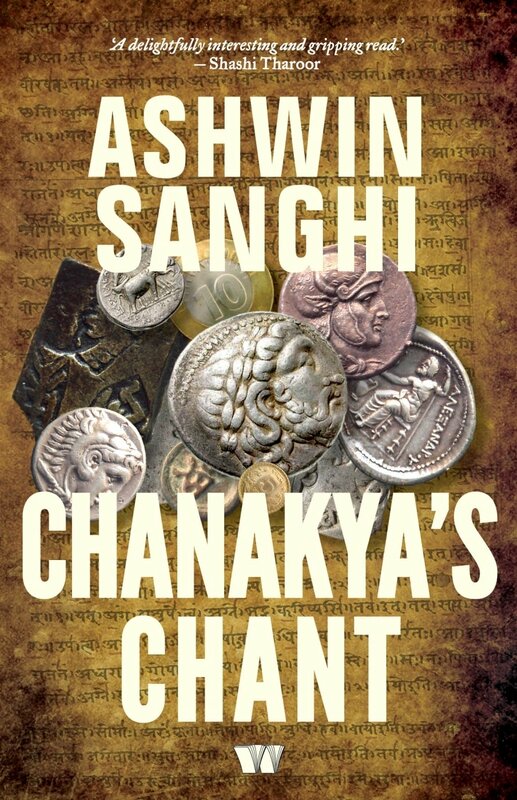 Chanakya’s chant from Ashwin Sanghi is a supreme political fiction of present day that goes hand in hand with Chanakya’s story believed to have happened 4000 years ago. People till now believe the power in Chanakya’s chant – ‘Adi Shakti, Namo Namah; Sarab Shakti, Namo Namah; Prithum Bhagvati, Namo Namah; Kundalini Mata Shakti; Mata Shakti, Namo Namah’-whose enchantment is said to make a person the kingmaker- promising the wisdom that chanakya once had; the wisdom that is buried in the dunes of time. Pandit Gangasagar Mishra – In present day Uttar Pradesh gets the engraved chant when excavating and he puts all his wits and wisdom in making the next Prime Minister of India. The story marvels at its turn of events when Gangasagar proceeds in every little step towards his dream of Making a slum-born – chandini as the calculated-strong prime ministerial candidate. He sets the perfect stage when he arranges her adoption to a muslim MLA candidate, projecting her as the right choice for the indian harmony. Gangasagar incubates chosen students under his training, who study pretty well and their very purpose of existence is to get various degrees. They also organise student unions in the universities that they learn and then they gain entry into strategic positions of Indian Administration services. Gangasagar makes friends and foes during his life and eventually all the foes gang up against him and swear to defeat him. What he does within his dwindling life is worth reading. This is a truly unstoppable book and has to be taken-in sip by sip but in one long read. The book side-by side opens your mind to the events that could have happened during the establishment of Maurya Empire. Alexander and his conquest, Paurus and his bravery, Seulecus’s vision and his downfall, the Ashwakans and their warfare, breeding of a gang of Mangalik battalion of Vishakanyas- the poison maidens, are worth knowing about. Hats off to the authors effort at stitching the well-known-Chanakya story that we watched in Doordarshan (DD1) during our childhood but understood the story nothing more than Chanakya’s angry demeanor. 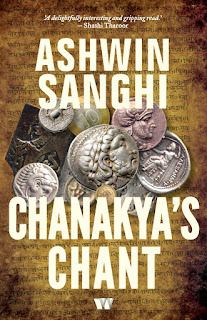 Author has put the story line commendably to make Chanakya’s chant as a gripping read and unstoppable till end. Hats off to all the research that is put-in and the strategy of putting all the pieces of puzzle into place while visualising a political warfare. Readers with avid interest in politics, strategic and methodical warfare, and tactical mind-games must read this once.